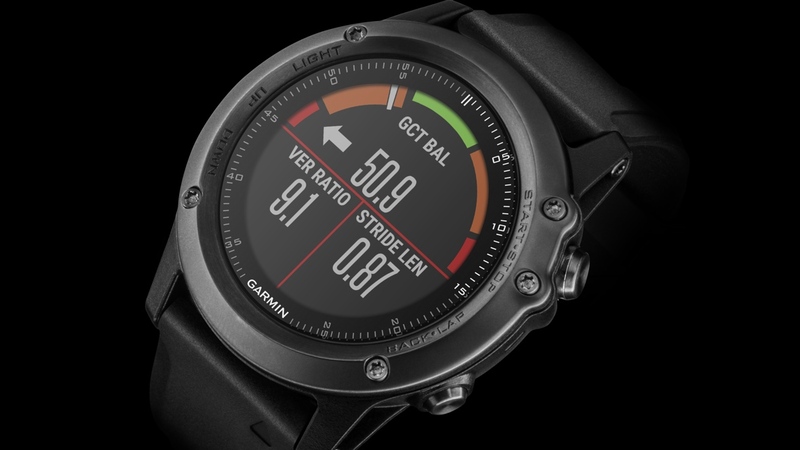 Garmin has introduced a trio of new Fenix 3 watches all touting a tougher Sapphire lens and some new hardware and software additions. The big news is the inclusion of Garmin's wrist-based Elevate heart rate technology, which has already popped up on the Vivosmart HR fitness tracker and Garmin Forerunner 235 running watch. It's also offering the new Fenix with interchangeable leather and nylon bands that you can swap out without having to use any tools. If you'd rather not walk into a meeting looking like you've left your sweaty running watch on your wrist, there's a more elegant option available with a Titanium bezel and band as well. On the software front, there's now new profiles for golfers and rowers and it's adding many of the new running metrics included in the Forerunner 630, so expect to be able to see data on aspects like stride length and stress scores. These software updates will roll out to existing Fenix 3 users as well though, so don't panic. If you want to get hold of one of the new Fenix 3 watches, they're all launching at around the same time in early 2016. The Fenix 3 HR version and the one with interchangeable bands will cost $599.99. The more expensive Titanium bezel-packing Fenix 3 will set you back $799.99. We'll be checking the new Fenix 3 watches out at CES 2016 to find out if you really need to make the upgrade.